Welcome to Newberry, Michigan the "Official Moose Capital of the Michigan". Newberry offers a wide variety of attractions, lodging, restaurants, business opportunities, along with incredible year-round activities and events. Make your plans here to visit one of the best places to hike, explore, golf, snowmobile, get your picture taken with the cubs, take a tour by rail and river, along with many other wonderful attractions and activities. We invite you to experience "Your Tahquamenon Gateway". We Are "Your Tahquamenon Gateway"
We welcome you to Tahquamenon Country and the Tahquamenon Falls, attracting more than 750,000 visitors per year. 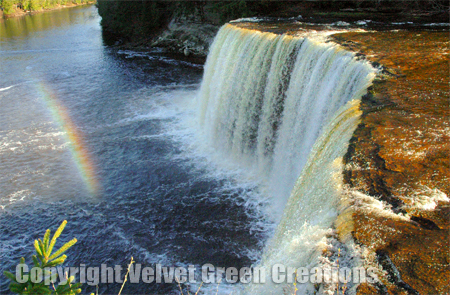 The Legendary Tahquamenon Falls was made famous in the Longfellow poem Hiawatha. According to Indian lore, the origin of the name Tahquamenon is attributed to the water's amber color, which is the result of leaching of tanic acid from the cedar and hemlock swamps that feed the river. The Tahquamenon Falls is special in many ways. One little known fact is that it is the second largest waterfall east of the Mississippi, with Niagara being the largest. The Tahquamenon Falls are open year-round. Newberry, Michigan "Things to See"
The Newberry Area Chamber of Commerce invites you to experience Tahquamenon. Located within the heart of Michigan's Upper Peninsula, we have large array of spectacular Things to See. Family friendly and fun for all ages, our attractions itinerary includes Oswald's Bear Ranch, The Tahquamenon River Logging Museum, Luce County Historical Museum, Upper Tahquamenon Falls, Lower Tahquamenon Falls, Tahquamenon Falls Wilderness Excursion / Toonerville Trolley, The Seney National Wildlife Refuge, Great Lakes Shipwreck Museum and Whitefish Point Light Station, Whitefish Point Bird Observatory, Garlyn Zoo, along many other points of interest. Newberry also has the incredibly ornate, mural rich, Tahqualand Theatre located in downtown Newberry, something you'll definitely want to see during your visit. Newberry, MI "Things to Do"
The Newberry Michigan Area offers a great amount of Things to See. Visit Tahquamenon Country and plan your visit to Michigan's Upper Peninsula with us. Our Member Spotlight features successful businesses that have provided economic growth or valuable services to visitors and residents alike. 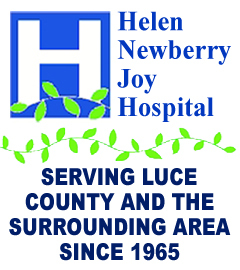 We have a long list of Things to Do here in and around Newberry. Many of these include our incredible natural surroundings. Great family fun awaits! If you are thinking of moving your existing or new business to Newberry or perhaps you are a current business seeking expansion, we can help. Membership with the Newberry Area Chamber of Commerce is very affordable and brings many benefits: Website Exposure, Web Advertising Opportunities, Brochure Distribution, Newsletter, Yearly Chamber Dinner, Insurance Discounts & Helping to Create Economic Growth in Our Area.